Tankless water heaters are considerably faster and more efficient than traditional water heaters. Call us for more information regarding tankless water heaters. A high efficiency water heater will help you save money on your monthly utility bills. If you find yourself interested in a high efficiency water heater, or yours just needs service, we can help. We here at The Water Heaters Masters are the go-to professionals for all standard water heater repair and replacement. From conventional recirculation pumps to pressure reducing valves and water softeners, our team of plumbing professionals has you covered. As a locally owned family business, our focus at Water Heaters Masters is to provide excellent customer service. We provide quick, clean and professional water heater and tankless water heater installation and repair services, offering the best water heaters and high quality parts at competitive prices. We service residential and commercial customers, including apartments and condominiums. Our reputation is built one satisfied customer at a time. Rated 5 Stars – Over 170 Reviews! Reduce or prevent water damage. Learn how to safely turn off the water supply to your leaking water heater, and if needed the main water and gas lines. View more by clicking HERE. The new NAECA energy requirements are now effective for newly manufactured water heaters, tankless water heaters, and high efficiency water heaters. This includes residential and commercial water heaters, with gas, propane, or electrical energy sources. What is the impact of the NAECA changes? Some models have new electrical requirements. Some models vary in capacity, width, and/or height. Water Heaters Masters was started in 2006 on the concept of providing the best solution for residential and commercial water heaters. Whether you need a water heater repair or a new water heater or tankless water heater installed, we provide excellent service at competitive prices. Because your time is valuable we arrive at your door ready to complete the job, saving you both time and money. We are also happy to provide Free Written Estimates with No Trip Charge. We are your local Diamond Certified company, providing excellent service at competitive prices. 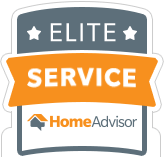 We are rated “Highest in Quality” by customers just like you. Read more by clicking HERE. 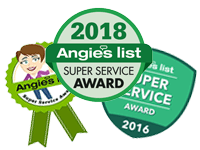 Water Heaters Masters earned the following awards, which demonstrate our consistent high levels of excellent customer service. Water Heaters Masters offers discounts to both senior citizens and military personnel for any new water heater installation. We also have periodic promotional rates that are posted in our various social media platforms. Follow us on facebook, twitter and Google+ to catch our latest news, helpful tips and promotions. 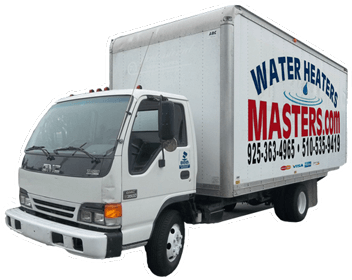 The Water Heaters Masters trucks come to your home stocked with various sizes and types of hot water heaters. This allows our technicians to address your water heater replacement and repair needs quickly. If we do not carry a specific model of water heater on board, we can easily get non-standard or tankless water heaters from our warehouse nearby. We are also connected to various vendors throughout the Bay Area to address any special needs. Cannot use for Repairs. Cannot combine with other discounts. Rated 5 stars over 170 reviews!